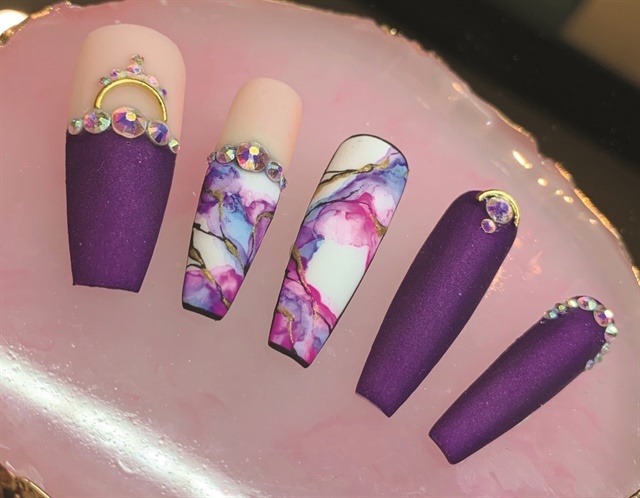 Jeannette Alfaro created this marble design, perfect for a special occasion. Follow her on Instagram @iluvurnailz. 1. Apply your base colors. Alfaro used metallic purple and white gels. 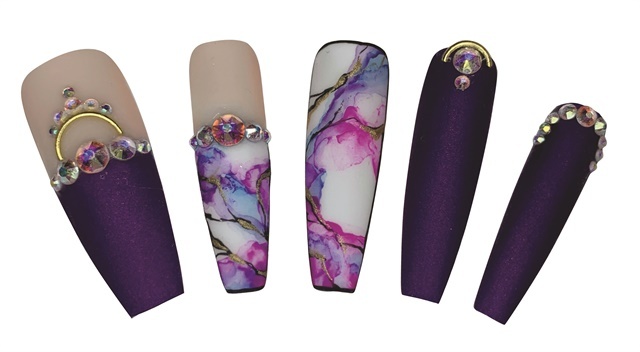 Use colors that contrast with the purple for the marble look on the white nails. Alfaro used royal blue, fuchsia, and the same metallic purple that was used for the base color. 2. With a thin detail brush, apply a small amount of nail polish over the white gel and dilute it with acetone. Apply it in random sections where you want to create the smoky marble look. Add more colors and dilute them with acetone until you’re happy with the look. 3. Use black acrylic paint to outline the whole nail and add black lines to create the look of veins going through the marble. Add metallic gold gel on top of the black veins to give it a pop. 4. Add different sized Swarovski AB crystals and gold accents for a sparkly look. 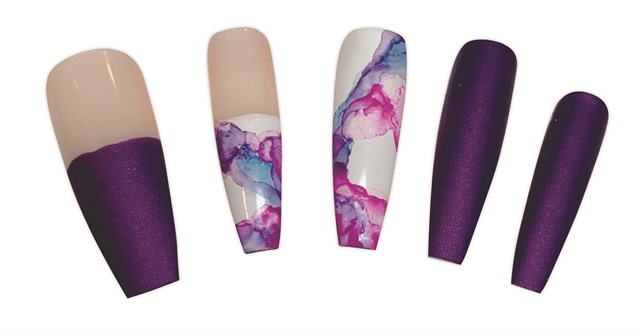 Use a matte top coat to seal in the design.